The Coast Guard Foundation, a non-profit organization committed to the education and welfare of all Coast Guard members and their families, announced today that it has kicked off its 2017 scholarship season. Accepting applications from March 1st through April 15th, children of enlisted Coast Guard members may apply for annual scholarships ranging from $1,000 to $5,000. 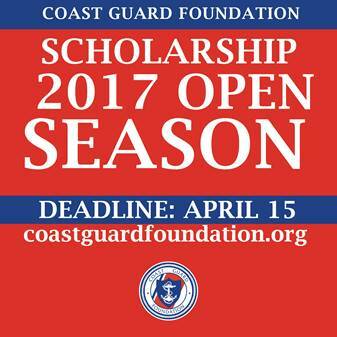 Scholarships are available to children of enlisted Coast Guard members who are active duty, active duty reserve and retired. First-time Coast Guard Foundation Scholarship applicants will use the online application hosted by Coast Guard Work-Life. The Foundation is offering a simplified application process for scholarship recipients who are applying to renew their scholarship award. This application is only for those students who have already received a one-time scholarship, and are working on their first undergraduate degree. Once completed, the application and an unofficial transcript can be submitted directly to the Coast Guard Foundation office for review. In the last 26 years, the Coast Guard Foundation has awarded more than $3.8 million to over 630 college-aged young adults through its scholarship program. The non-profit’s commitment to education support has significantly grown over time and is now a primary focus of the organization. For more than 45 years, the Coast Guard Foundation has supported the men and women of the United States Coast Guard. The Foundation provides higher education grants to enlisted members, reservists and their children; higher education financial support for families of Coast Guard members lost in the line of duty; and support for morale programs including funding recreation, exercise and family-oriented facilities. For more information on the application, visit: http://bit.ly/1WhEcv4. To apply, visit: http://bit.ly/1TgbHQn. Renewal applicants should visit: http://bit.ly/1WhElhS. 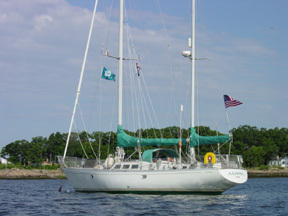 For more information on the Coast Guard Foundation or its scholarship programs, please visit www.coastguardfoundation.org or call (860) 535-0786.